Guess what this week is???!!! You guessed right, my birthday is this Saturday. YAY! First, how was your weekend? Last week was mid-terms for Michael and boy. I will be so happy once he's done with his first year of high school. Can't believe I just said that but I'm just being honest with Y'all. I did a lot of reminiscing and looking through my travel photos. Last year around this time I was returning back from San Juan Puerto Rico and planning my trip to Cancun Mexico. I will say that it's really nice to get a break from the snow during the winter months. As of right now, I do not have any plans for my birthday. It will probably be low key and in the company of my family. Happy birthday Tasheena! Hope your young one does well on his midterms! Happy birthday to you! My son's birthday was on Friday so we celebrated this weekend! 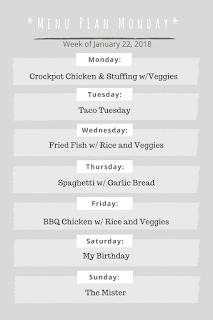 I love to have a meal plan as well. 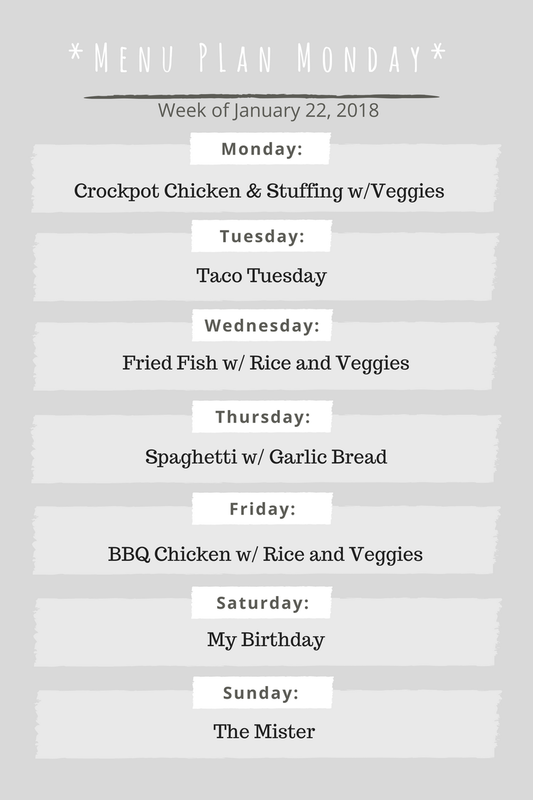 I find that when I am prepared for the week and know what dinner will be that my life is definitely less stressful. Happy Birthday, I hope you have a great one! My weekend was busy but very fun catching up with family and friends. Hey! That's so exciting. It sounds like you really look forward to your birthday week. Me too! I hope it's a great new year of being you! Happy happy early birthday! It can definitely be nice to kick back and enjoy some relaxing family time for your birthday. I hope it's fantastic! Oh man, I have been craving tacos and being it Tuesday I don't see a better fit! Also I need to come up with some good crock pot recipes, I have a crock pot but haven't used it in a really long time! Happy Birthday in Advance. And had a busy weekend no time to rest at all. Hope you enjoy your special day.